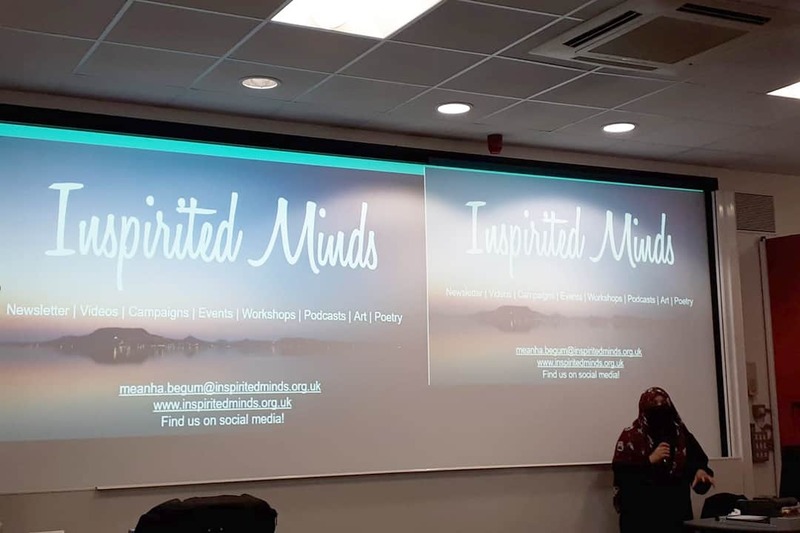 The UEL ISoc invited us to Stratford to deliver a talk on sexual abuse, identity crisis and Islamophobia as part of their Mental Health awareness event in aid of Human Aid. 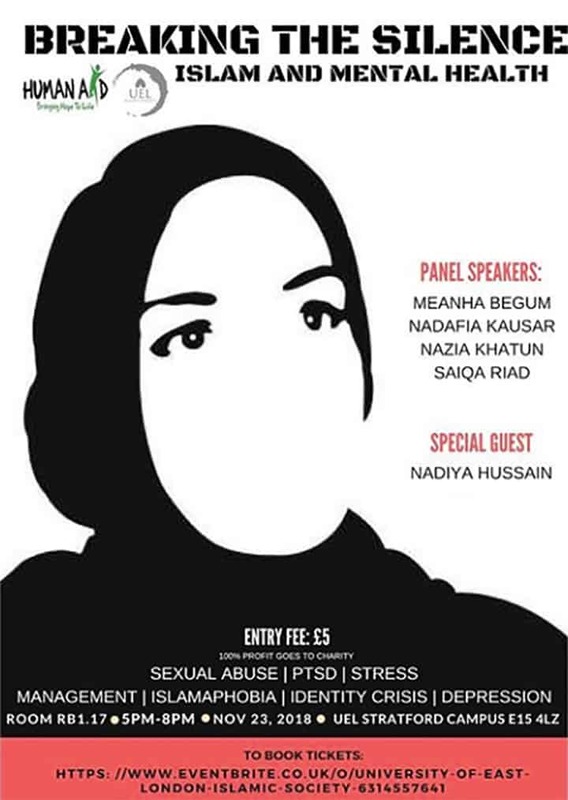 We were joined on the panel with other giants who had incredible stories to share; Shaheen and her experience of domestic violence and anxiety, to eating disorders and Nazia Khatun’s fitness journey. There were professionals including a community psychologist, Nadafia Kausar who spoke about the regression of Muslim communities and their activity with dealing with mental health and what we should be doing, and Saiqa Riad, an NLP practitioner who gave us many practical tips on getting out of our own way and messages to take home. It was an empowering event, and we pray that the attendees were able to relate and take life-long lessons away and continue to empower themselves and others around them. JazakAllah Khair to UEL ISoc for inviting us to be on the panel, and other speakers for sharing it with us and most importantly the attendees that supported our work and continue to make dua for us.